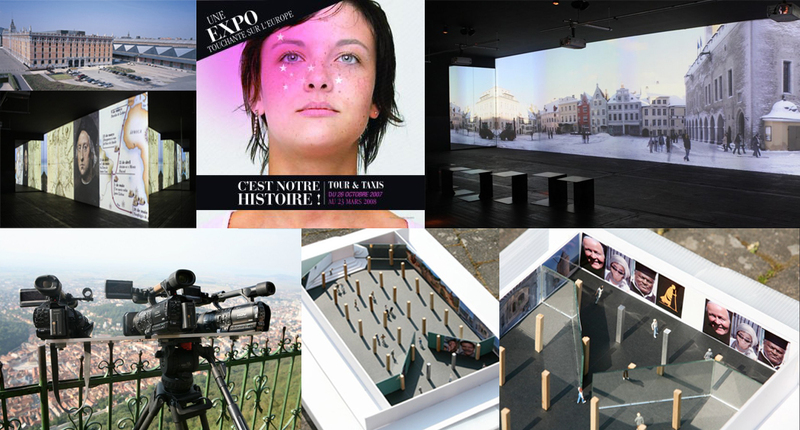 Trough artistic, audiovisual and TV projects, we analyze the memorial processes occurring in different countries of Europe from the point of view of young Europeans in the role of citizen reporters. These young reporters confront with historians and the public the discoveries they make on the ground with witnesses who took part in the events of the past. With these films, expositions and artistic workshops, they promote then debates in schools, in universities and with civil society. Two huge screens of 12 meters face to face, a battery of 4 computers and 8 projectors project the panoramic film. 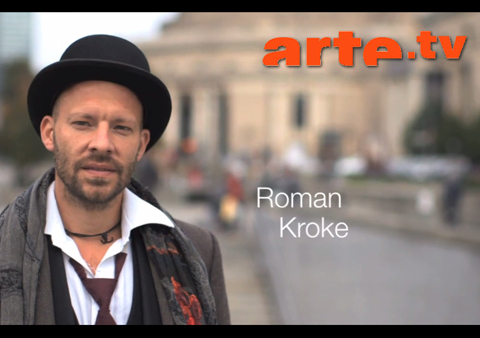 Roman KROKE is lecturer at the Berlin University of the Arts in “Experimental Storytelling”. 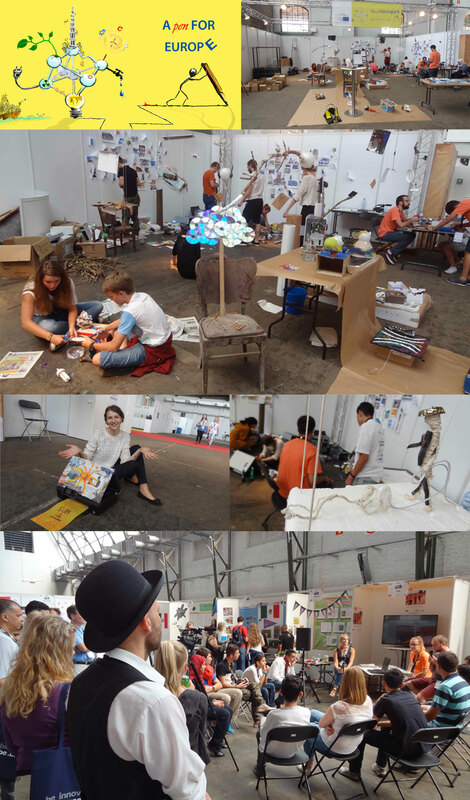 Throughout Europe, Roman Kroke directs historical and artistic workshops in cooperation with schools, universities or other organizations like prisons, museums, foundations – particularly in the context of school partnerships, cultural exchange programs, school trips, study tours or project weeks. On a regular basis, he also provides teacher trainings for the National ministries of Education in Germany, France and Switzerland. Kroke’s artwork and interviews have repeatedly been part of the documentary movies of Mediel shown on the European culture channel ARTE. 1st August 1944. Nearly two months after the Allies land in Normandy, the young people of Poland rise up in Warsaw to free themselves from the Nazi yoke. Betrayed by Stalin who is encamped, weapons at hand, on the far bank of the Vistula the Polish Resistance one of the strongest in Europe with its Home Army the Armia Krajowa faces the world’s most powerful army alone. The Warsaw Uprising is often confused with the revolt in the Warsaw Ghetto which took place a year earlier in the Spring of 1943 and in which for the first time the Jewish community took up arms to mount an organised defence against the Nazis. This fierce armed, civil, intellectual and moral resistance will leave its mark on the collective Polish conscience and will later influence the form of resistance that the Poles will introduce in the face of Soviet communism. “We must fight, fight in every way we can, but find another way of doing it. No more bloodbaths!” said the leaders of the Warsaw Uprising in their testament. Four young Erasmus+ students meet with historians and witnesses of our past… They investigate the events of the Second World War in Germany (the student movement of the White Rose in Munich), in France (the Vel d’Hiv Roundup in Paris, the resistance in Vercors) and in Russia (Katyn Forest massacre).They examine the impact of these events; curious to how the European peoples are creating their identities today.